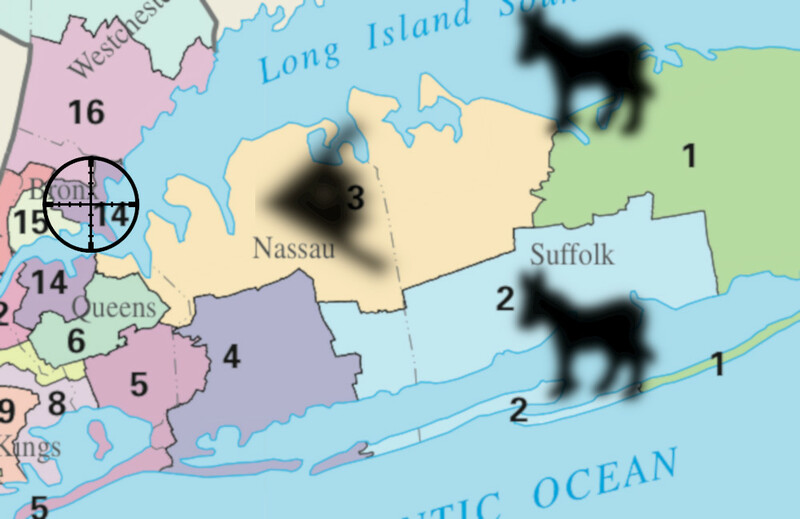 Ocasio-Cortez's district is a thoroughly gerrymandered Democratic safe seat, which is why her primary challenge was effectively an early election: whomever holds the Democratic nomination in New York's 14th automatically goes to Congress (which is how her predecessor Joe Crowley was "elected" ten times in a row). Combine these three facts -- an NYC seat being eliminated, a gerrymandered district, and the burning hatred of the Democratic establishment who control the district boundaries -- and Ocasio-Cortez is right to be worried that her seat will be eliminated in two years. Even though NY Dems would claim that this is just business as usual and nothing personal, the decision to eliminate Ocasio-Cortez's seat would be intensely personal, and political. She has been a thorn in the side of the establishment since she got on the scene, and her short Congressional career has marked her out as someone who shouts the unutterable truths that no one was willing to mention in polite society, and that the tactic works. Ocasio-Cortez has shown herself to be willing to upend the "natural order" of politics and cost some very powerful people a lot of money, even turning them into pariahs for having accumulated that money in the first place, and she's shown that she has a very good chance of succeeding. The natural rebuttal is that Ocasio-Cortez's incredible popularity and ability to galvanize public support is an asset that Democrats should welcome -- but the reality is that the Democratic policies Ocasio-Cortez favors (an end to the hydrocarbon industries, clawing back inequality through steeply progressive taxes, ending corruption) are anethema to the Democratic establishment. The power-brokers in the Dems would rather that the Democratic party loses than that it win and do the things that Ocasio-Cortez wants it to do. So yes, Ocasio-Cortez should be worried about a stab in the back from the Cuomoites and other New York Democratic machine figures. But as Aída Chávez notes on The Intercept: "Ocasio-Cortez could just run, and probably win, in any nearby New York City district the party may try to draw for her." And if that wasn't enough, she could always just primary Chuck Schumer and become a Senator.